Have you ever heard of the Ben Franklin effect? It is a term used in psychology to describe the phenomena where "a person who has done someone a favor is more likely to do that person another favor than they would be if they had received a favor from that person". Meaning that if A helps B with a favor, A will end up liking B more instead of other way around. 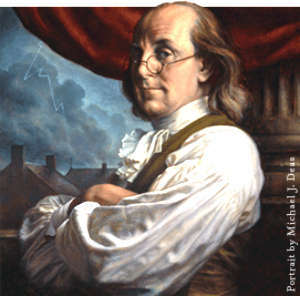 The story goes that once upon a time, the famous Benjamin Franklin had a rival lawyer who hated him very much. One day, Ben found out that his rival had a book that he wanted very much and proceeded to ask the rival whether he can do Ben a favor by lending him the book. The rival did and much to Ben's surprise, when the two men met the next week, the rival actually spoke to Ben, something that he has never done before, and their friendship continued on to their death. This is in direct contradiction with our common sense which would state that we will be inclined to like the person who has helped us instead of the other way around. However, experiments done in the social psychology field had found robust effect for the Ben Franklin effect, meaning that the next time you want someone to like you, instead of helping them with something, ask them to help you instead. It's like killing a bird with two stones. Anyways, the reason why I'm writing about this Ben Franklin effect has something to do with blogging actually, or anything that has to do with publicity, say for example a Facebook photo contest. If you had noticed, a lot of stuff that is social media related requires likes, retweets, shares and what-nots. I'm sure that almost all of us have experience at least one friend who constantly hound for likes or shares before. As a blogger myself, I have to admit that part of the reason of why I blog is because I enjoy sharing my thoughts online. My younger self would have wanted to change the world through my words but essentially I want people to read my blog. And to do that, one of the fastest way is to ask people to read. And perhaps to like my Facebook page at the same time. But then again, I've always tried to refrain from blatantly asking people to read my blog or to like my page. Unless for competitions, that is. I've always find it partially annoying whenever people suddenly appear out of nowhere asking for you to do them a favor in such stuff and I would expect others to find it annoying too if I were to shove my blog to them and ask them to read/like it. Besides, I have this crazy principle that if people were to like my blog, it would be because they sincerely want to, not because I asked them to. 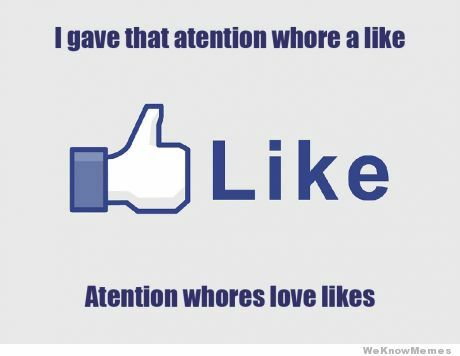 However, it would seem that the attention whores have got it right all along, according to Benjamin Franklin at least. By asking people to do them a favor by liking their photos and stuff, they are indirectly inducing people to like them. Which explains why the amount of likes and attention that they are going to get is just going to increase, even though they may look annoying at times. Blame cognitive dissonance. Therefore, I guess it's high time for me to discard this "morally right" principle of mine and start to act like one attention whore myself. After all, it is much faster than waiting for people to actually read my blog and like it's contents. Making them like the blog first then read the content is so so much easier. And to put today's lesson into practice, would you like my Facebook page please? It takes only one mouse click.